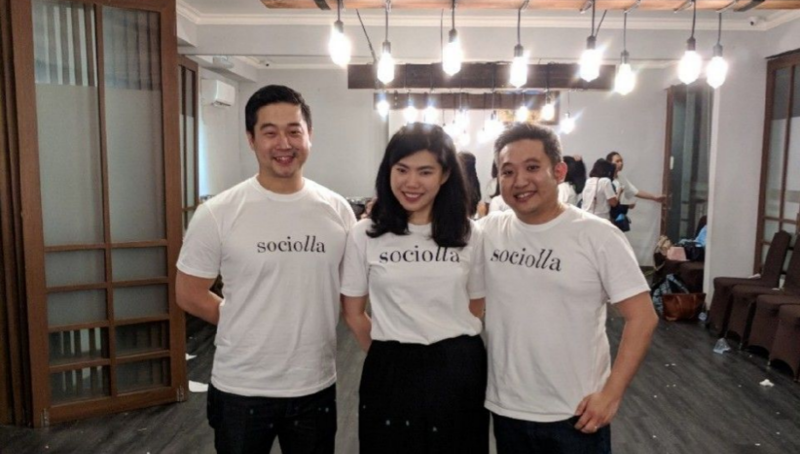 Sociolla, an e-commerce platform for beauty products, announces investment worth of $12 million (about Rp169 billion) led by EV Growth, istyle Inc. (Japanese beauty platform), and Singapore’s big institution (undisclosed). EV Growth is a new fund under East Ventures, SMDV, and Yahoo Japan Digital, focused on Series B funding and higher. This fund is actively operating in the second quarter of 2018. Willson Cuaca, EV Growth partner, said in the official release that East Ventures has been supporting Sociolla since 2015 through seed funding. They already see its worth and readiness to win the beauty tech category in Indonesia. “Through the additional funding, we want to tighten Sociolla’s position as the leading beauty tech company in Indonesia including the support of strategic partnership with a global player, istyle,” he said. Chrisanti Indiana, Sociolla’s Co-Founder, explained company will use fresh funding for the development of a new platform Soco (Sociolla Connect) which just launched earlier this year. It is a digital beauty platform, combined with e-commerce and media. This platform completes the two existing beauty platform, Sociolla and Beauty Journal (media), using single sign on technology to facilitate users in accessing various contents from Beauty Journal and UGC (User Generated Content). Therefore, users can manage their purchases in Sociolla and join digital beauty community, get the relevant product recommendations that match their profile and interest. “Users that already registered in Soco can also contribute as content creators and interact or share with the other fellow beauty enthusiasts,” she said. She thinks of Soco presence as to complete Sociolla’s mission of helping and building the future of beauty industry using technology. In addition to Soco, the company will use the fresh funding for marketing plan distributed through Sociolla. The company will partners with global’s most popular beauty brands interested to enter Indonesia’s market. Currently, there are more than 150 international brands sell its products through Sociolla, also seven brands from Asia and Australia have signed a direct distribution agreement with the company. The company also partners with one of istyle shareholders and gives access to 14 million beauty product’s reviews from Cosme and Make Up Alley (US’s beauty site). The site has been acquired by istyle last year. istyle enters Sociolla through Series B funding in January 2017, previously, the company had received Series A funding from Venturra Capital in November 2015. Cumulatively, Sociolla managed to collect more than 12 million visitors to enter the site last year, it’s about 1 out of 9 women in the target market located in Indonesia.